In Germany a total number of 8.29 million viewers watched the Eurovision Song Contest live from Baku on Saturday night. This is a market share of 36,6% which means that every third German TV viewer saw Loreen winning for Sweden and achieving a very good 8th place for Roman Lob. 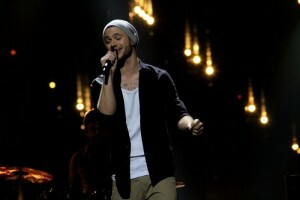 The highest number of viewers was counted at 22.34 CET when the German representative Roman Lob took the stage and performed his song Standing still. Thomas Schreiber, entertainment director of the German TV channel DasErste was very satisfied with these voting figures, even though there had been about 5 million less viewers than in 2011 (13.89 millions) and even about 6 million less than in 2010 (14.69 millions) when Lena won the Eurovision Song Contest for Germany in Oslo. So in fact the viewing figures have dropped, but they were still higher than before 2010 when German singers were not very successful at the Eurovision Song Contest. Nevertheless the German interest in the Eurovision Song Contest was quite high this year. Several German media reported about the situation in Baku before the contest started. Loreen’s victory has also been a topic in several TV shows as well as in TV and radio news. A look at the current German iTunes Top 200 download charts shows that several of this year’s Eurovision songs are popular. The compilation of the Eurovision Song Contest 2012 can currently be found on 6th position of the album charts. Last Sunday it was even no.1.